The United States court system has two different types of trials: bench trials and jury trials. It is important to trial strategy to know the risks and benefits of each. Making the wrong choice could be the difference between being convicted and being found not guilty or even going to prison or not. It is that important. That is why it is best to have the assistance of a criminal defense attorney when making this decision. A bench trial takes place in front of a judge only; there is no jury involved. This means the judge makes all the decision regarding the facts, law and procedure and if the evidence and/or testimony presented is believable. It is important to know about the judge that will be deciding the case. What is that judge’s history? Has he or she made more decisions favorable to the prosecution than the defense? Is that judge sympathetic or difficult? It will take the experience of a criminal defense attorney that practices before that judge to properly advise you. A bench trial can be beneficial when people want a speedy resolution to a legal matter. Bench trials are also good ideas if the issues in the case are so numerous that a jury could confuse the important with the unimportant. Judges are able to “cut to the chase” and filter out the unimportant. They can also be useful in particularly complex cases that a jury might not understand. The drawback to a bench trial is that there is only one decision maker. There is a reason for the saying “two heads are better than one”. It is often wise to have multiple decision makers so that the final decision is a consensus – bench trials do not offer that. In a jury trial, a jury is made up of members of the community. It is so important a concept in the United States that it was included in the Constitution. The Founding Fathers felt it was better for a person charged with a crime to have his or her guilt decided by a group of peers and not a representative of a government they were reluctant to trust. So, giving up your right to a jury trial is a big deal and should only be done with great care and with proper consultation. This is why if you do decide to have a Bench Trial the court will ask you a series of questions to determine if you are giving up your right to a jury trial voluntarily. The drawbacks to jury trials are that they are time-consuming and expensive and jurors may not always follow the law, instead rendering verdicts based on emotions. Choosing a bench or jury trial is just one of many decisions a person dealing with a criminal charge must make. It is important that you speak to a criminal defense attorney that specializes in litigation and trials that can discuss your situation with you and advise you of the steps you should take to resolve the matter in the best possible way. The attorneys at LEWIS & DICKSTEIN, P.L.L.C. 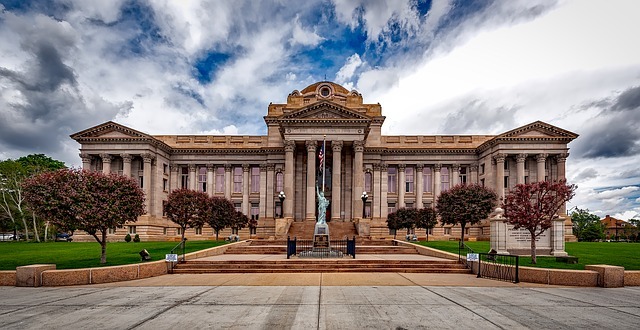 have a combined 50 years of courtroom and trial experience in the Federal, Wayne, Oakland and Macomb court, as well as statewide. If you have any questions or need information, please complete the Request for Information Form or call us at (248) 623-6800 and one of our highly competent attorneys will be happy to assist you.